In July 2015, The Catholic University of America School of Architecture and Planning received an eight-year accreditation. Accreditation is granted by the National Architectural Accreditation Board (NAAB). NAAB also works in conjunction with the National Council of Architectural Registration Boards. Together these organizations approve all educational requirements for architectural licensure. Over the past three years, these organizations have created a new program titled Integrated Path to Architectural Licensure (IPAL), combining academic training with professional practice internships and license examination while students are in school and prior to the granting of their professional M.Arch. degree. 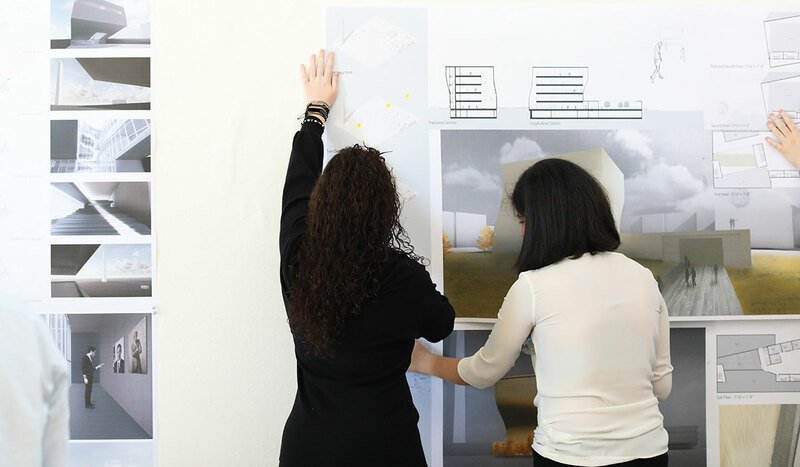 In June 2016, Catholic University's School of Architecture and Planning became an approved university to offer the Integrated Path to Licensure (IPAL) program. Our university is one of 22 universities approved for this program in the United States. The school developed a response that crafts an integration of our professional curriculum with intermingled professional practice internships and opportunities to sit for examination. Our primary intent in developing this new program/track within our B.S. and M.Arch. programs is to offer our strongest and most interested students a program that grants opportunity for professional licensure upon graduation from the university. Our application and proposal recognize that we must fully utilize all our present faculty resources to their fullest extent possible. This means that our current curriculum will not change and will be offered to all our students in the school simultaneously. We envision about 20-25 percent of our current students and incoming freshman may be candidates for this program. With professional licensure at the end of the education process, a significant majority of our undergraduate students will remain at Catholic University for their graduate education thus resulting enrollment for 6½ years of the program. The program started in the summer 2017. All curriculum previously approved by the school and the University remains in place but the sequence of courses integrated with practice internships has changed; the new schedule of courses provides for students to enroll in summer sessions as regular academic semesters. The Integrated Path to Architectural Licensure initiative encourages programs that are accredited by the National Architectural Accrediting Board (NAAB) to propose a pre-graduation integration of education curriculum and employment opportunities meeting the requirements of the Architectural Experience Program® (AXP®); and the opportunity to take each of the six divisions of the Architect Registration Examination® (ARE® 5.0). NCARB recognizes and respects that an accredited program that provides an option for students to participate in an integrated path to licensure is not for every school or every student. This initiative is about providing choices for aspiring architects, and in no way mandates academic curriculum. Success of the initiative will be defined by those who move into architectural practice without the average of seven-plus years of post-graduation internship and examination, along with prolonged lower wages and limited employment opportunities. Our hope is to continue to enhance the path to licensure and uphold the ideals of the profession by creating new opportunities.